In Canada over 44,000 workers get injured annually due to fall accidents. The majority of these falls happen on the same level resulting from slips and trips due to an unintended or unexpected change in the contact between the feet and the ground or walking surface. 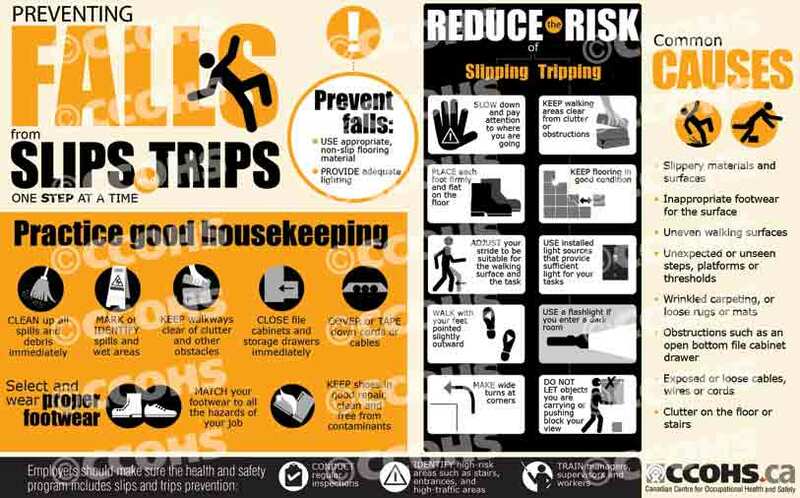 Share these cards throughout your workplace to raise awareness of the common causes of slips and trips and reinforce what employers and workers can do to prevent these kinds of falls.